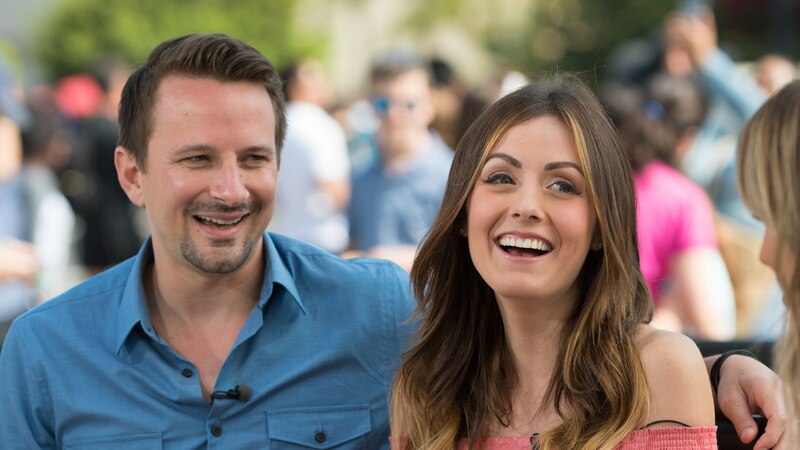 We are not one bit surprised that Carly Waddell and Evan Bass’ unborn baby is already causing trouble considering they fell in love on Bachelor in Paradise — where misbehaving is mandatory. Waddell also posted a pic of her wee little baby bump on Sept. 17, quipping that it was either a baby in there — or too much Chipotle. Waddell and Bass got hitched in Mexico in June (their wedding was filmed for an episode of Bachelor in Paradise, naturally). During their honeymoon, the couple was surprised to learn they had a little Bachelor/ette on the way. Bass continued, “I had to Google and I was like, ‘Oh, my God, you’re pregnant.’ We freaked out.” Bass also told Us that his three sons from a former relationship are thrilled that they’re getting a little sister. The due date for their baby girl is Feb. 16 — but we’re betting money that Bachelor host Chris Harrison is going to push for a Valentine’s Day induction and some cameras in the delivery room.